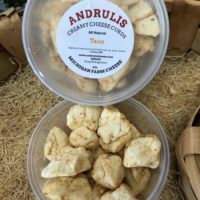 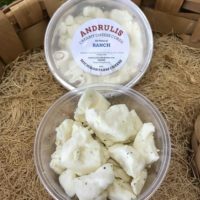 Welcome to Michigan Farm Cheese Dairy, makers of Andrulis Farmers Cheese! 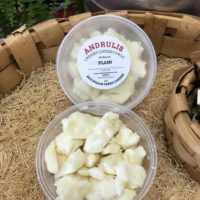 We’ve been dedicated to making our traditional Baltic-style farmers cheese since 1940. 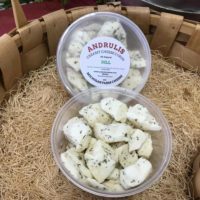 We use only all-natural, premium ingredients, following an old world recipe for each of our superior quality cheeses. 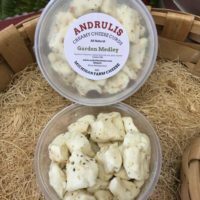 Distinctively creamy and full-bodied, Andrulis Cheese is what farmers cheese was meant to be. 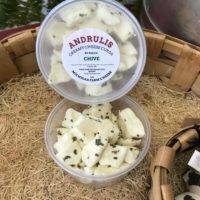 Visit our Recipe page, place on Order online, take a Tour of our facilities, check out our Lithuanian Links, and be sure to Contact us and tell us what you think about our site and our cheese! 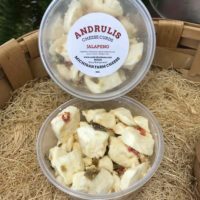 Check out some of our new products below!